When your home stove doesn’t work well, let us fix it. 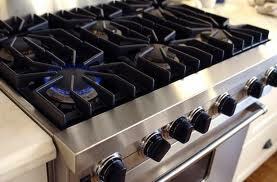 We provide quick stove repair in Edison, NJ. Our company is a fully equipped appliance business and every one of our technicians is up to date trained. Do you own an old range? Is your stove one of the latest models in New Jersey? 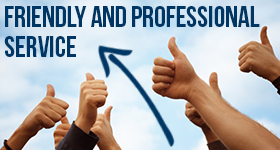 In either case, you can depend on our effective services. Do all burners malfunction? Are there any problems with the indicator lights? Trust the replacement of the damaged stove parts and any repair stove work needed to Appliance Repair Edison. Our stove service specialists are up to date with any new stove on the market. There are several types, brands, designs and styles to fit in any kitchen. Regardless of their special characteristics, we can find their problem and fix it. Whether they are counter-mounted or not, we can take great care of them. There is always a reason why the burners do not heat up well or not at all. Let our technicians find out. What our experts do first is find the problematic stove parts. Is one of the ignition wires broken? Are some switches damaged? Count on our fast response stove repair Edison service. The job takes place in timely fashion and is performed with special tools. Our technicians are always prepared to offer service and won’t leave before they fix the appliance. Worn and burned out parts are replaced on the spot since we keep spares with us. Do you suspect improper stove installation? Our technicians can check the connections, make the corrections, and fix both ranges and stove-tops. Did you buy a new stove? We can install it for you at affordable prices. Just like all repair services, the installation of new appliances is performed with accuracy and compliance to safety regulations. This is extremely vital especially if the appliance is powered by gas. Trust our trained technicians for your home stove repair and installation requests to enjoy your kitchen appliance free of problems.